I wasn’t sure if anyone would hire me. Just like most of us, Shalonda wanted to work and earn her own paycheck — but she had good reason to worry that she wouldn’t be able to get a job because of her disability. In 2013-2014, a staggering 84% of people with developmental disabilities did not have a paid job in the community. A job — and the feeling of purpose, independence, and self-sufficiency it brings — could have been out of reach for Shalonda. But through the Best Buddies Jobs program, she found fulfilling, meaningful, well-paid work, where she knows she’s valued for her contributions. “My co-workers rely on me,” she says. This year marks Paige and Eleanor’s fifth Thanksgiving together. These two friends have made spending time together a part of their holiday tradition, and that’s something these two friends are truly grateful for. 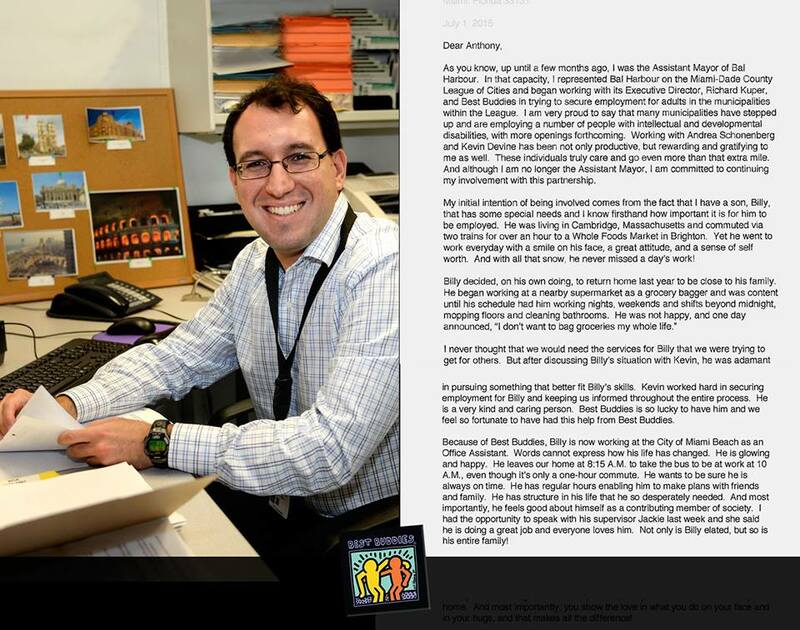 I received this letter from a parent whose son is involved with our Best Buddies Jobs program in Miami Beach. Joni’s message is a strong testament to the determination of our participants to be part of an inclusive workplace that allows them to fulfill their professional goals. Our Jobs staff is dedicated to building strong relationships between people with intellectual and developmental disabilities and the companies who hire them. I challenge every business leader that reads this to consider hiring through Best Buddies Jobs by visiting www.imintohire.org. Are you In To Hire? 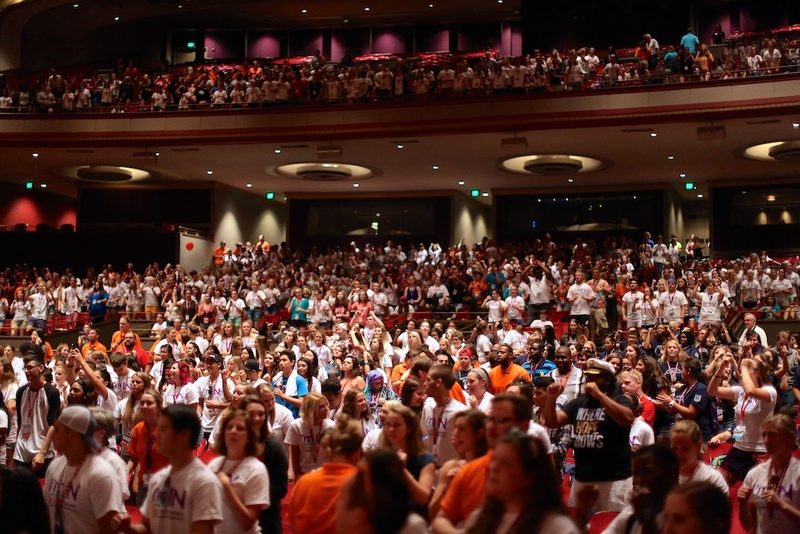 Bloomington, IN (July 22, 2015) – Over 2,100 student leaders, volunteers, and staff from Best Buddies International Website programs around the world participated in the 26th Annual Best Buddies International Leadership Conference: I’M IN presented by C.A. Hartnell, July 17-20 at Indiana University in Bloomington, Indiana. The weekend offered attendees new ideas to share with their chapters’ back home, networking opportunities, and most importantly, lasting friendships. 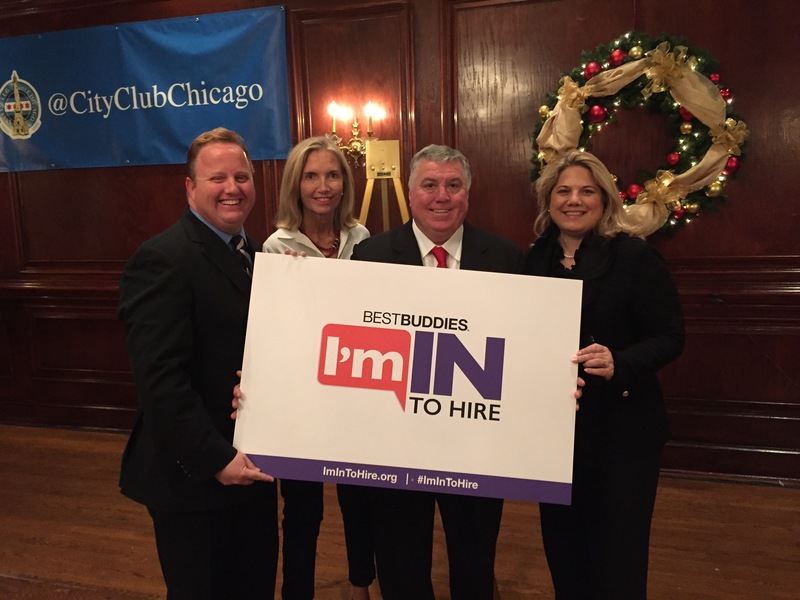 On December 9, 2014, City Club President and Best Buddies Illinois Board Member Jay Doherty and Illinois Senate President John Cullerton hosted an I’m In to Hire breakfast to encourage employers to consider hiring individuals with intellectual and developmental disabilities. Illinois Governor Pat Quinn spoke about the importance of this movement of workplace inclusion. 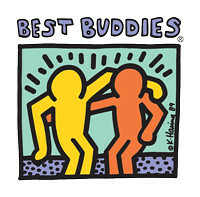 Senator Cullerton, also a champion of diversity, signed an Illinois Senate Recognition of the Best Buddies I’m In To Hire campaign when it first launched in October, 2014.